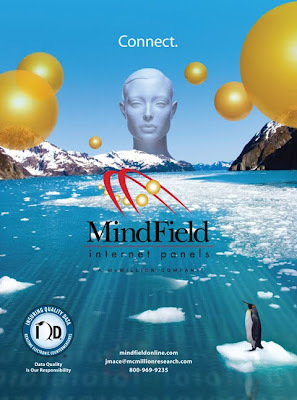 This is the latest publication ad for MindField Internet Panels and its IQD product. (You can see a previous ad here, which first introduced IQD.) The ad is appearing in Quirk's Marketing Research Review and AMA's Marketing News. 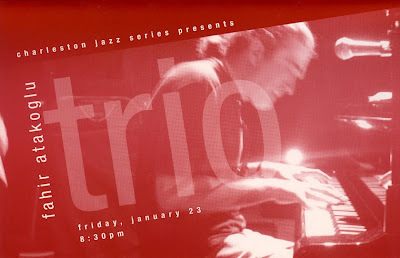 Bryan Boyd Creative Group has been an ardent supporter of Charleston Jazz Series since its inception in 1991. And as promotional underwriters, BBCG designs all of the direct mail pieces, posters and fliers associated with the non-profit organization. Over the years, Charleston Jazz Series has welcomed an impressive list of international performers to the region, such as Astrud Gilberto, Joshua Redman, Brad Mehldau, Lizz Wright and Chris Botti, to name but a choice few. 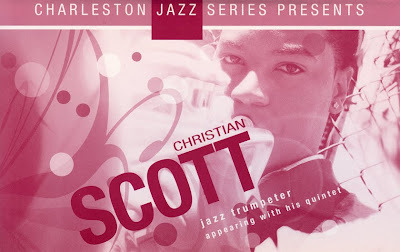 Be sure to check the Charleston Jazz site for information on upcoming shows, to subscribe via PayPal or to see a full list of past performers. Bryan Boyd Creative Group, Inc. has produced countless annual reports for a wide variety of non- and for-profit entities. 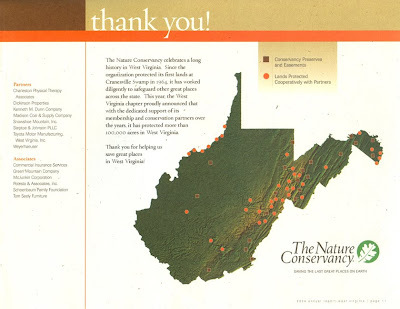 This particular report was for The Nature Conservancy in West Virginia. 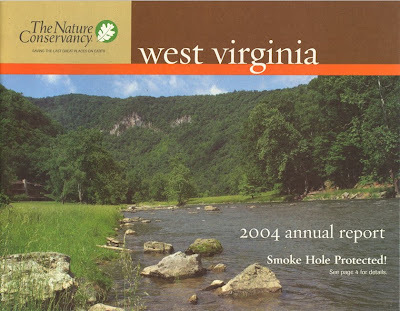 This annual report not only highlighted the organization's statewide conservation initiatives and the typical financial-related information, but also featured multiple beauty shots of the Mountain State. In keeping with the natural theme, this report was printed on acid-free, archival paper made from 100% de-inked post-consumer waste. It exceeds all EPA guidelines for recycled fiber. BBCG recently completed this book cover/illustration for one of its newest clients, Nutrition Pocket Books. The purpose of the book Naturally Nutritious is to provide a quick and easy reference of vegetarian foods that naturally contain a good amount of Protein, Calcium, Iron and B12. 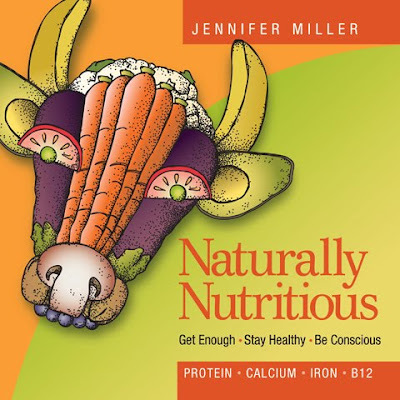 The illustration we created utilizes a variety of natural foods in the shape of a cow's head. The concern for many folks is that one cannot obtain enough of the nutrients mentioned above without eating meat or drinking milk, thus the cow. This book provides vital information for vegetarians and non-vegetarians, alike. Bryan Boyd Creative Group just completed this project for Covenant House of West Virginia. It promotes the organization's HIV/AIDS Residential & Resource Program, an incredibly helpful resource for West Virginian's living with the disease. The spot features the talents of actress and Charleston, West Virginia native Ann Magnuson, as well as those of Los Angeles-based photographer/filmmaker Austin Young. The spot, which will air throughout central and southern West Virginia for the first quarter of 2010, was conceived, written and produced by BBCG. 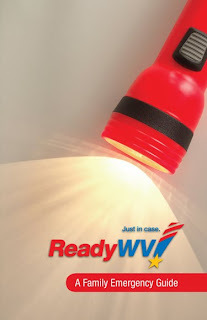 Through funding from the West Virginia Division of Homeland Security and Emergency Management, and coordination with Volunteer West Virginia, ReadyWV is a communications campaign and online tool that helps West Virginians know what to do before, during and after an emergency. Bryan Boyd Creative Group, as marketing agency of record for Volunteer West Virginia, was asked to execute a complete, turnkey identity program and have it ‘ready for roll out’ in fourteen days. BBCG responded to the challenge with a clean, simple design that not only captured the spirit of the initiative, but helped create awareness of the newly launched website ready.wv.gov – the key information source of the program. BBCG also produced a 32-page emergency guide for ReadyWV.